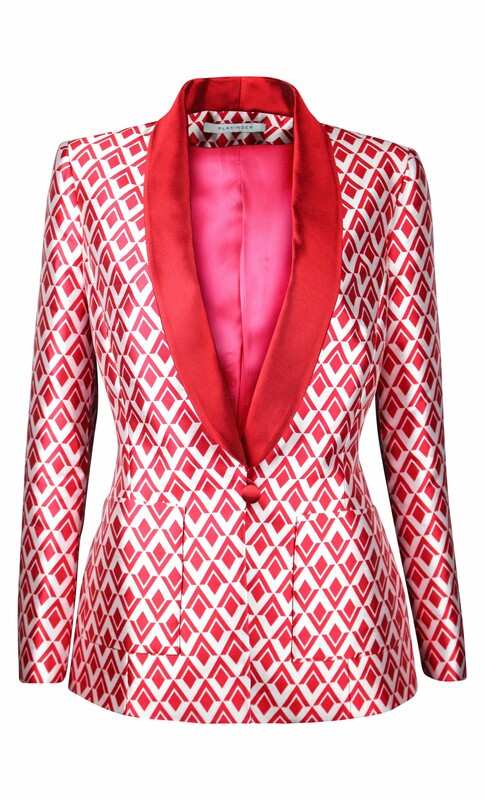 The tuxedo inspired blazer is woven from a shiny jacquard in a red and white graphic motif. 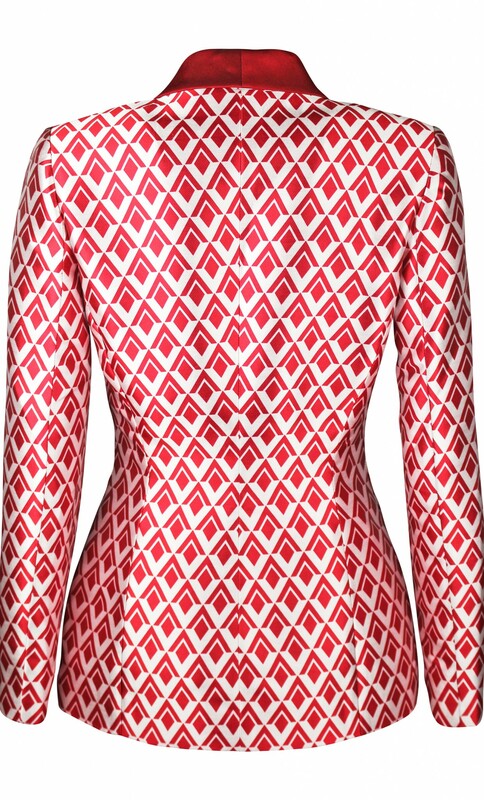 Two detachable, self tie belts in red and graphic print come with the blazer to create a feminine silhouette. Actress Amy Jackson was featured in "The 2016 Cannes Red Carpet`s Best-Dressed Celebrities" list by Vanity Fair magazine wearing this PLAKINGER pantsuit at Cannes Film Festival. 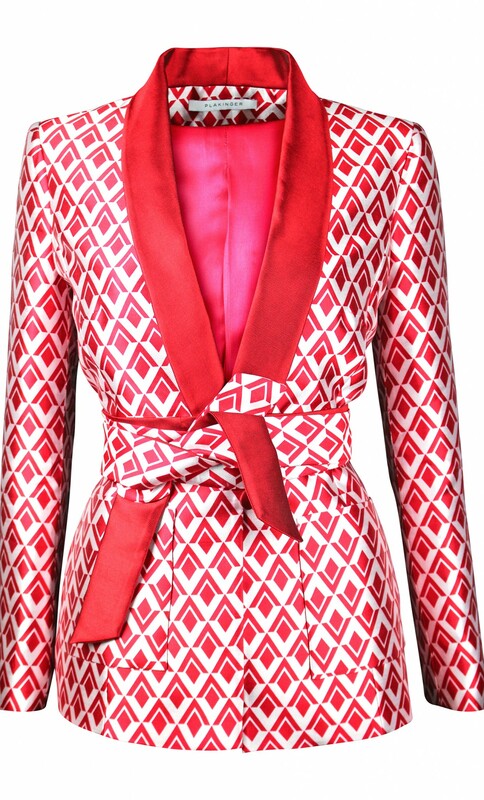 Shawl collar in a matching red color, padded shoulders, welt pockets, covered button at front, fully lined.